Instagram is a core tool for music marketing, with artists like Rihanna racking up over 23m followers. So much so, that The Drum just announced it’s more influential than Youtube, Facebook and celebrities as a social marketing tool. For artists, interesting and engaging posts are key. Think of that small, square box in the hands on your fans as an insight into your life as an artist. Thoughtless, impersonal of repetitive images – such as a stream of endless pro-photographer festival crowd shots – can quickly kill fans interest and follows. 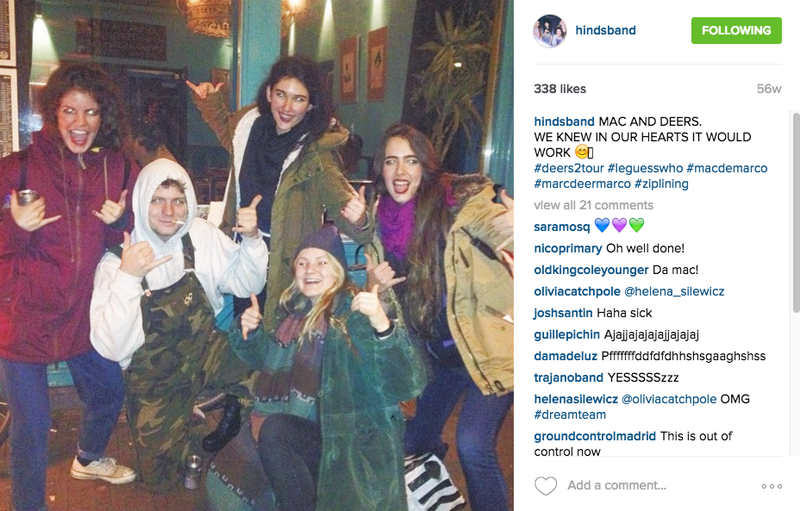 Spanish four-piece Hinds have nailed using their Instagram account to cultivate and engage their fan-base, as they’ve grown to be one of 2016’s hotly tipped acts……. Images that give an insight into an band’s daily doings, makes the onlooker feel special and strengthens the bond between artist and fan. The fact a bunch of their images are a bit blurry and not consistently heavily edited, adds to the genuine feel. This post is relatable. They work hard. 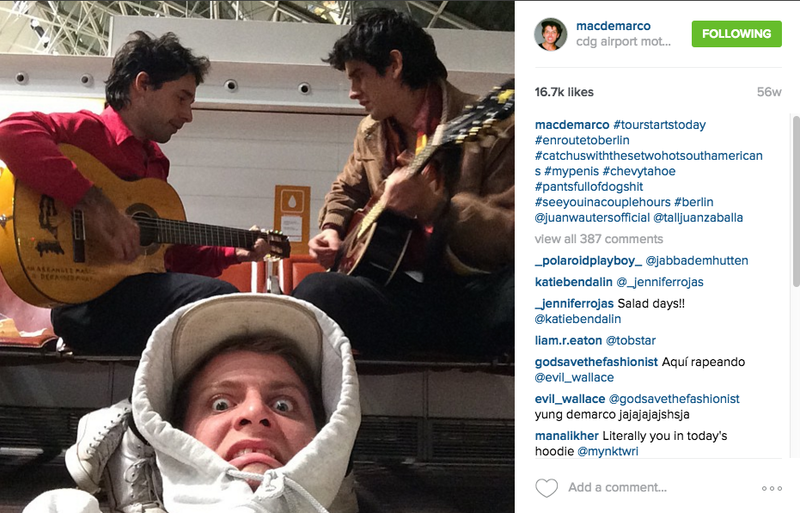 They’re touring (and having fun touring, at that). They get tired. And they like getting fucked up. On the contrary, don’t underestimate the power of the hashtag. 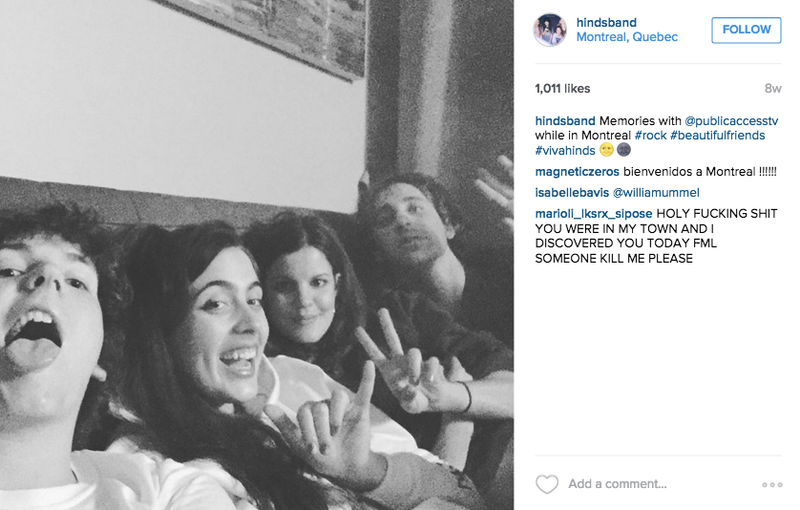 A community can be built around an actionable hashtag. Selecting one, perhaps two, to use with consistency in your posts is a good way to develop fan engagement. This can also be leveraged across other social platforms. 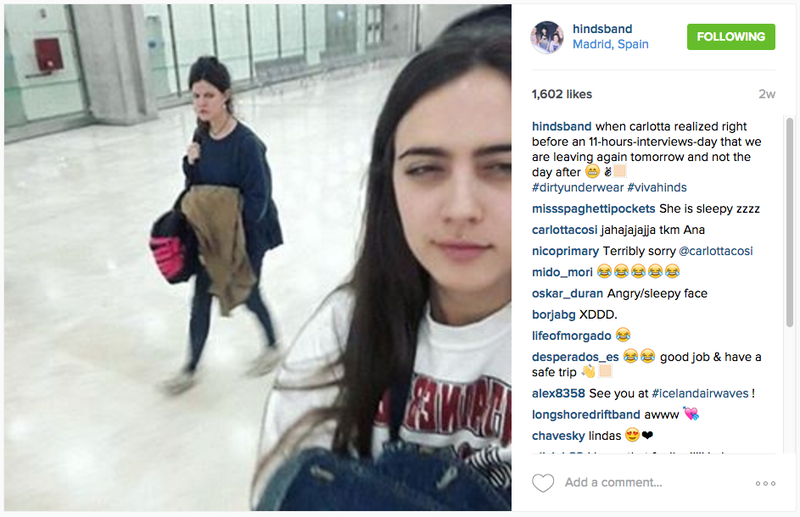 Just search #VivaHinds in Twitter, for example. Simple but effective. Chances are, any artist you are touring with or hanging out with shares a similar demographic to you. make sure to tag them in any image upload as well as a comment mention. Sharing is caring. (And leads to more followers). 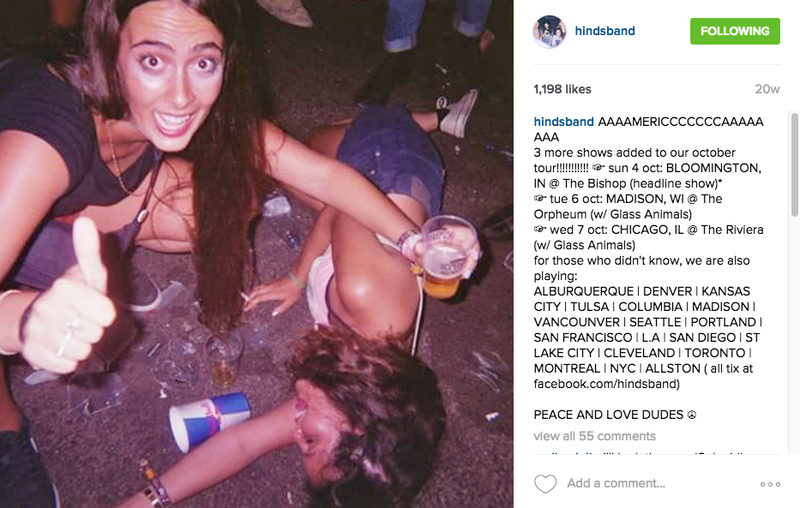 Hinds’ un-edited fun in (nearly) every picture reflects the sentiment of their material. 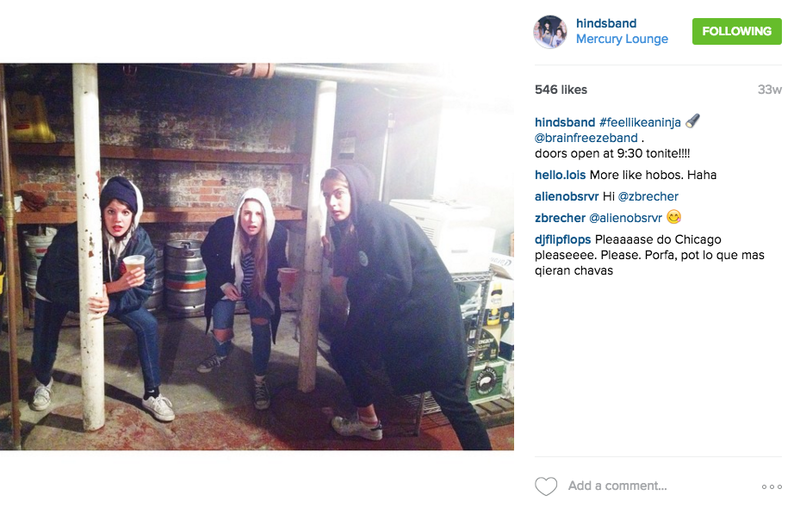 Their posts perfectly captures the fun, no-fucks-given spirit of their music. Simple steps like the above are effective tools to attract and maintain proper fans, and develop meaningful fan engagement.